Aussie, Aussie, Aussie! Oi, oi, oi! 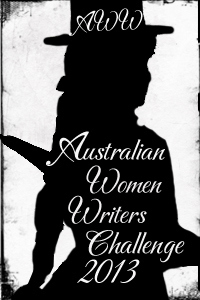 I enjoy the Australian Women Writers Challenge – it goes a little way to addressing the gender bias in literary review pages, plus I try to buy my AWW titles from an independent book shop (doing my bit for the Australian publishing industry and independent booksellers). I signed up for the Miles challenge (read 6 books, review at least 4) but managed to complete the Franklin level (read 10 books, review at least 6). It’s hard to go past Burial Rites as my favourite book from this challenge. In fact, it may well be my favourite book of the year (although there’s still a few reading days left and I am in the middle of something very, very good). Sonya Hartnett rocks my reading world regardless of what she’s writing about and Anna Goldsworthy made me laugh out loud. The strong mother characters created by Ladd, Johnson and Forster are still lingering, as is Hayes’ wonderful young girl, Shelley – a good sign indeed. Looking forward to more in 2014.